According to unofficial overnight figures, the second installment of Doctor Who’s Greatest Moments was watched by 290,000 viewers. The programme share was 1.5% and it was the sixteenth most-watched programme of the day on multi-channel television. The figure is a drop from last week’s edition, which inherited a much larger base from the previous programme, The Runaway Bride. Pinewood Studios have announced a new exhibition featuring images that have been captured of filming at its prestigious Underwater Stage. Amongst the many photographs represented are sets from Casino Royale, The Da Vinci Code, Eastenders and Doctor Who – where it was used in The Impossible Planet for shots of Scooti floating in space. The exhibition forms part of The Movieum of London, at the Riverside Rooms, County Hall, on London’s South Bank, and runs from 1st–28th October. After a few weeks away from its now 'traditional' place, filming for the new series of Doctor Who has once again resumed in Cardiff. This afternoon saw recording of scenes take place on the rooftop of Cardiff University's Glamorgan Building, with both Matt Smith and Karen Gillan in attendence. See the spoiler section for details on guests ... and enemies! Filming today took place at what appears to be a wartime bunker surrounded by barbed wire, and features the return of the Doctor's greatest adversary the Daleks! Only partially seen, it would appear to have a more 'traditional' grey colour scheme to those seen in recent series. As well as the regulars, actor Bill Paterson was also glimpsed during the rooftop scenes. Mary Tamm's new autobiography First Generation is released on 14th September. Tamm played the first incarnation of Romana alongside fourth Doctor Tom Baker. Colin Baker has written the foreword to the book which is available in two versions: a standard paperback and a special hardback edition. The hardback edition will only be available direct from Fantom Films and is limited to 200 copies, individually numbered, with extra photographs and signed by Tamm. John Barrowman will be a guest on the Jonathan Ross Radio show, on BBC Radio 2, on Saturday 5 September. Barrowman is preparing to step into high heels when he takes on the role of Albin in La Cage Aux Folles at the Playhouse Theatre, London, for a limited run from 14 September to 28 November 2009. Astrid Peth, better know as Kylie Minogue has been confirmed as one of the guests in Radio 2's Thank You For The Music concert in London’s Hyde Park on Sunday 13 September 2009, celebrating the Music of Abba. Minogue will perform two Abba hits, Super Trouper and When All Is Said And Done, alongside Benny Andersson and Björn Ulvaeus. Tickets are available from See tickets and the concert will be broadcast live on Radio 2. Finally the outgoing Tardis Team of David Tennant and Russell T. Davies have given a 20-minute "exit interview" to Boing Boing Video. Catherine Tate has won the Portal Award for Best Actress on Television for her portrayal of Donna Noble. Tate beat Mary McDonnell of Battlestar Galactica to the top position in the awards which have run since 1999 and are voted on by thousands of readers. It is the first time Doctor Who has won one of the major acting awards. David Tennant was runner up as Best Actor being beaten by Jensen Ackles of Supernatural. Billie Piper was runner up in the Best Guest Star Category with Turn Left coming second in the Best Episode category. 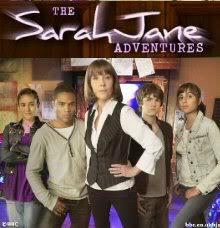 The second series of The Sarah Jane Adventures will be released on DVD in the UK on 9th November 2009 and in the US a day later on the 10th November 2009. The series consists of the stories The Last Sontaran, The Day of the Clown, Secrets of the Stars, The Mark of the Berserker, The Temptation of Sarah Jane Smith and Enemy of the Bane. It was first shown in the UK in the Autumn of 2008. Series Three is expected to be shown in the UK this Autumn. 2-entertain have indicated there will be no Doctor Who release in December. The Kamelion box set is now expected early in 2010. The second Doctor story The Dominators is also expected early in 2010 following an brief, unofficial release of a promo for the story on YouTube. A new series box set consisting of the complete Series 1 – 4 will be released on 26th October. According to unofficial overnight figures, the first installment of Doctor Who’s Greatest Moments, which was shown on BBC Three on Thursday, 20 August 2009, was watched by 400,000 viewers, making it the sixth most watched programme of the day on multi-channel television. The BBC has launched the new Dreamland blog, detailing the production process behind the six-part animated adventure due later this year. 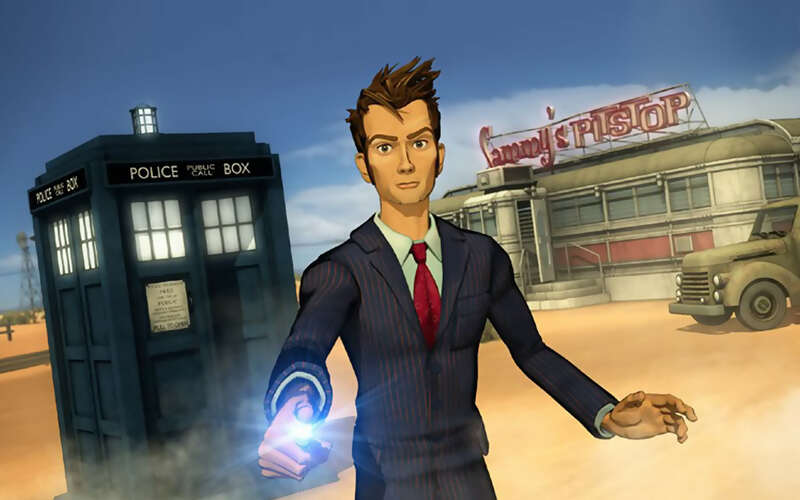 The story, voiced by David Tennant and written by Doctor Who writer Phil Ford, takes the Time Lord to Roswell, where he stumbles upon a mysterious alien artefact that leads him on a mission to rescue Rivesh Mantilax from the threat of the Viperox and the clutches of the American military. Commissioned by BBC drama multiplatform, the series will be available on Red Button and on the Doctor Who website. CBBC will then show the entire 45-minute animation on BBC Two this autumn, as will the BBC HD channel. Rosie Allimonos, drama multiplatform commissioner, said the series ‘presents an amazing opportunity to expand the multiplatform storytelling potential of Doctor Who’. The Doctor will be joined by a new companion, Cassie Rice, played by Georgia Moffett, who played the Time Lord’s daughter Jenny in Series Four. David Warner stars as the leader of the ruthless Viperox. In the run up to the animation, fans will be able to visit the Doctor Who website and follow a behind-the-scenes production blog on the making of Dreamland, giving the opportunity to follow the progress of the animation as it develops. Produced by Brighton-based animation company Littleloud, the animation is being executive-produced by Russell T Davies, Julie Gardner and Piers Wenger. ‘Dreamland is a remarkable project and I'm thrilled with it. Phil Ford is a wonderful writer and promises to send the Doctor into a whole new visual dimension,’ Davies said. The Doctor Who Restoration Team have uploaded full details of the extras contained in the Dalek War Box set, released in the UK on October 5th. Frontier in Space will feature a commentary with Katy Manning, who played Jo Grant, as well as producer Barry Letts and script editor Terrance Dicks.. Planet of the Daleks also features a commentary with Manning, Letts and Dicks and also includes Prentis Hancock who played Vaber and Tim Preece who played Codal. • The Rumble in the Jungle, the making of the story. • Multi-colourisation, a look at the colour restoration of episode three. • Stripped for Action: focuses on the Daleks. Fans of Katy Manning might like to know she is currently appearing in her one woman show, Me and Jezebel at the Edinburgh Fringe Festival. BBC Worldwide has signed a deal with Blinkbox, a UK online video service, to offer 300 hours of BBC archived content. 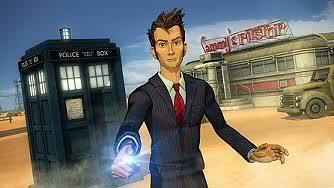 Classic episodes of Doctor Who will be available to watch along with shows such as Hustle and Hotel Babylon. The programmes will be free but with adverts. Other programmes, including Top Gear, Gavin and Stacey, and Planet Earth, will be available to buy. Outgoing executive producer Russell T Davies featured as a character in Wednesday's Afternoon Play on BBC Radio 4. The comedy takes place as a tidal wave threatens London. When the BBC forms an action committee to save the environment via a blockbuster movie Russell T Davies, played by Rupert Degas, heads up the committee. Can Mel Hudson and Vicki Pepperdine reach the meeting in time to pitch their idea and get back for the school run? As well as Davies as a character, the play features the TARDIS and a Dalek. It can be heard worldwide for the next seven days on the BBC iPlayer, and is repeated on Radio 4 next Tuesday. This month's Doctor Who Magazine confirms the title of David Tennant's swansong to be The End of Time. The final episode will be 75 minutes long, with the penultimate episode running to 60 minutes. Former James Bond, Timothy Dalton will play The Narrator in these final episodes where he is joined by Bernard Cribbins as Wilfred Mott, June Whitfield playing Minnie Hooper, Catherine Tate returning as Donna Noble and John Simm as the Master. The magazine once more features the Fourth Doctor, Tom Baker, on the cover, the first time since issue 258 that Baker has featured on the cover two months running. Inside can be found the second part of DWM's interview with the longest running Doctor, in advance of his return to the role, with the release of Hornets' Nest next month. The magazine was present at the recording and gives a full report on proceedings, including interviews with the cast and crew. Sixth Doctor companion actress, Nicola Bryant takes her turn to delve into the TARDIS tin! The Doctor turns sleuth as he races to save New Old Detroit from the ominously-named World Bomb in the complete new comic-strip adventure, The Deep Hereafter with words by Dan McDaid and art by Rob Davis. Everything you need to know about the Doctor’s Sixth and most colourful incarnation in one easy package, thanks to The Watcher and his continuing guide to the lives of our favourite Time Lord. Step back in time to 1974 with The Fact of Fiction and take a look at the Fourth Doctor’s first adventure, Robot. The Time Team’s Richard, Peter, Jac and Clay turn their square eyes to The Curse of Fenric and share their thoughts on this terrifying tale of World War II espionage, vampires and chess games. Mary Tamm, who was the first incarnation of the Fourth Doctor’s companion, Romana talks to DWM about writing her autobiography and being a grandmother. Outgoing Doctor Who supremo, Russell T Davies reflects on life in America, (including the revelation of chicken sausages) and his thoughts on the Eleventh Doctor’s costume. There’s a photo special in this month’s Gallifrey Guardian rounding up all the pictures and coverage for the first day of filming for next year’s Series One, starring Matt Smith. Neil Harris celebrates the unseen heroes of Doctor Who, including Leonardo Da Vinci who has the honour of not appearing in the series on two separate occasions! Classic Doctor Who audio producers Big Finish have announced that their license to produce the adventures of past Doctors has been renewed until 31st December 2011. “We’re thrilled that the licence has been renewed, and we’ve got some fantastic stories lined up for the rest of 2009, and through 2010 and beyond. Not only from the Doctor Who main range, but also the New Eighth Doctor Adventures and the Companion Chronicles, plus additional ranges like The Lost Stories. All of us at Big Finish love making Doctor Who on audio, and we feel privileged that the BBC has entrusted us to continue." The new issue of Doctor Who Magazine has revealed the episode titles for the forthcoming third series of The Sarah Jane Adventures, due to air this coming Autumn on BBC1/CBBC. The magazine also confirms that the fourth series is in pre-production, but that it has yet to be formally commissioned.